The Blakeney Cottage Company01263 741777work Holiday Letting AgencyThe Blakeney Cottage Company offer some of the most desirable properties in this scenic part of the world. Their handpicked accommodation on and around The North Norfolk Coast has everything from character boltholes for two (perfect for a cosy romantic escape), to open plan newly renovated barn conversions which comfortably sleep up to 16. The majority of their impressive portfolio of holiday homes are dog friendly and all offer WIFI. Certain properties also have access to indoor heated pools and tennis courts. The Blakeney Cottage Company's knowledgeable, friendly staff are based in their office on The Quay in Blakeney and are on hand to answer any questions you might have. Whether you are looking to book your perfect holiday cottage or are thinking about letting your own property The Blakeney Cottage Company have gained a reputation for going the extra mile for guests and owners alike. 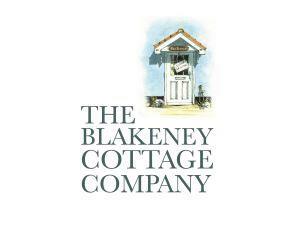 The Blakeney Cottage Company offer some of the most desirable properties in this scenic part of the world. Their handpicked accommodation on and around The North Norfolk Coast has everything from character boltholes for two (perfect for a cosy romantic escape), to open plan newly renovated barn conversions which comfortably sleep up to 16. The majority of their impressive portfolio of holiday homes are dog friendly and all offer WIFI. Certain properties also have access to indoor heated pools and tennis courts. Take a look at their website and find your perfect hideaway!